A recent study has found that reducing consumption of added sugar, even without reducing calories or losing weight, can reverse a cluster of chronic metabolic diseases in children. The study, titled Isocaloric Fructose Restriction and Metabolic Improvement in Children with Obesity and Metabolic Syndrome, says the health detriments of sugar, fructose specifically, are not limited to its calorific value or its impact on body weight. The study found that cutting down intake of additional sugar, even without reducing calories or achieving weight loss, has the power to reverse a cluster of chronic metabolic diseases in children, including high cholesterol and blood pressure. The study whose online version has just been released will be published in journal Obesity, in February 2016. According to the study, previously, concerns surrounding role of sugar consumption in triggering chronic diseases have focused on its caloric equivalence and its role in fomenting increases in weight. But this may not be the case. The study was performed on Latino and African-American kids who are sick with metabolic syndrome. The syndrome is a cluster of conditions – increased blood pressure, high blood glucose level, excess body fat around the waist, and abnormal cholesterol levels – that occur together and increase risk of heart disease, stroke, and diabetes. Other diseases associated with metabolic syndrome, such as non-alcoholic fatty liver disease and Type 2 diabetes, also occur now in children. Many of the diseases are disorders previously unknown in the pediatric population. Participants were restricted to Latinos and African-Americans as this is a group at higher risk of metabolic syndrome, such as high blood pressure and Type 2 diabetes. Participants consumed a diet for nine days to deliver comparable percentages of protein, fat, and carbohydrate as their self-reported diet. 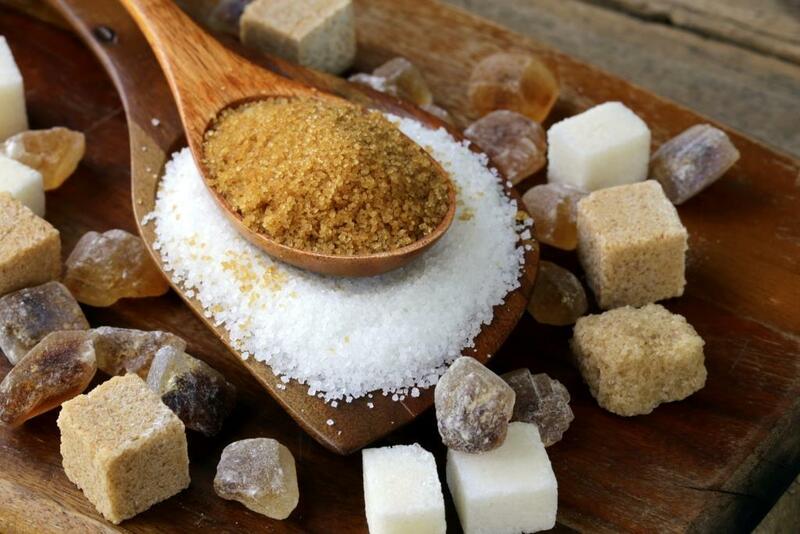 However, dietary sugar was reduced from 28 per cent to 10 per cent and fructose from 12 to 4 percent of total calories and substituted with starch. Participants recorded daily weights, with calories adjusted for weight maintenance. In the study, 43 children between the ages of nine and 18 who were obese and had at least one other chronic metabolic disorder – such as hypertension, high triglyceride levels or a marker of fatty liver – were given nine days of food, including all snacks and beverages, that restricted sugar but substituted starch to maintain the same fat, protein, carbohydrate, and calorie levels as their previously reported home diets. Baseline fasting blood levels, blood pressure, and glucose tolerance were assessed before the new menu plan was adopted. The study menu restricted added sugar (while allowing fruit), but substituted it by adding other carbohydrates such as bagels, cereal and pasta so that the children still consumed the same number of calories from carbohydrate as before. This “child-friendly” study diet included various no- or low-sugar added processed foods including turkey hot dogs, pizza, bean burrritos, baked potato chips, and popcorn. Children were given a scale and told to weigh themselves everyday, with the goal of weight stability, not weight loss. When weight loss (decrease of an average of one percent over the 10-day period) occurred without change in body fat, they were given more of the low-sugar foods. After nine days on a sugar-restricted diet, various aspect of the participants’ metabolic health improved, without change in weight. The study found that sugar-restricted diet resulted in diastolic blood pressure decrease by 5mm, triglycerides by 33 points, LDL cholesterol or bad cholesterol by 10 points. While liver function tests showed improvement, fasting blood glucose went down by five points, and insulin levels were cut by one-third.